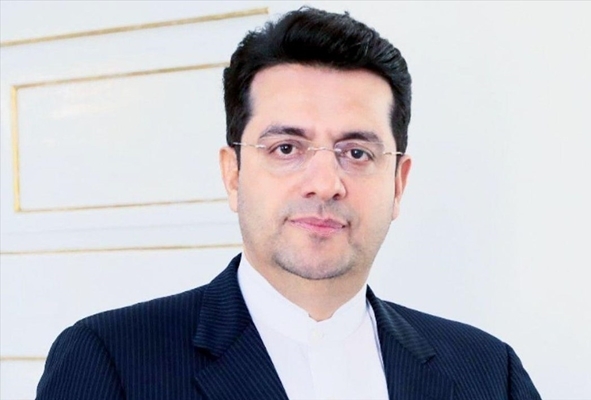 Iran’s Foreign Ministry Spokesman Seyyed Abbas Mousavi says the whole world is demanding a change in the nature of the US regime. Mousavi made the comment in response to recent remarks by US Secretary of State Mike Pompeo regarding Washington’s attempts to change the nature of the Islamic Republic of Iran. “Fortunately, the more time elapses, the more the leaders of the current US regime reveal their [real] objectives, even more than their predecessors,” Mousavi said in a Wednesday statement. “They admit that they have changed their words from [calling for] a ‘change of behaviour’ to a ‘change of the system’ and, now, to a ‘change of the nature’ of the Islamic Republic of Iran,” said the spokesman. “The one that should change is the American regime, not Iran,” he said. “Growing international opposition to the [US] behaviour and actions that run counter to international regulations have resulted in a global call for a change in the nature of the US regime,” the spokesman said. “A change should take place in the nature of a regime which has hijacked free global trade by resorting to economic terrorism and bullying, threatens governments to act based on this country (the US)’s illegitimate demands and policies, exports billions of dollars’ worth of deadly weapons to the Middle East and the Persian Gulf to murder civilians, prevents the administration of justice with regards to war criminals and murderers of journalists, and supports them, does not respect the environment and human rights and the values of the international community and international law, and keeps threatening international order, peace and stability,” he added. In his recent remarks, the US secretary of state called for a change in the nature of the Iranian government and system.